Why Bio Green? Your local Bio Green Natural Fertilizing Service, Weed and Pest Control Services will make your lawn, trees and shrubs green, healthy and beautiful in an environmentally safe manner. Call Rob Hendricks at (407) 473-3080. Satisfaction Guaranteed. Let us Help Your Landscape Thrive! 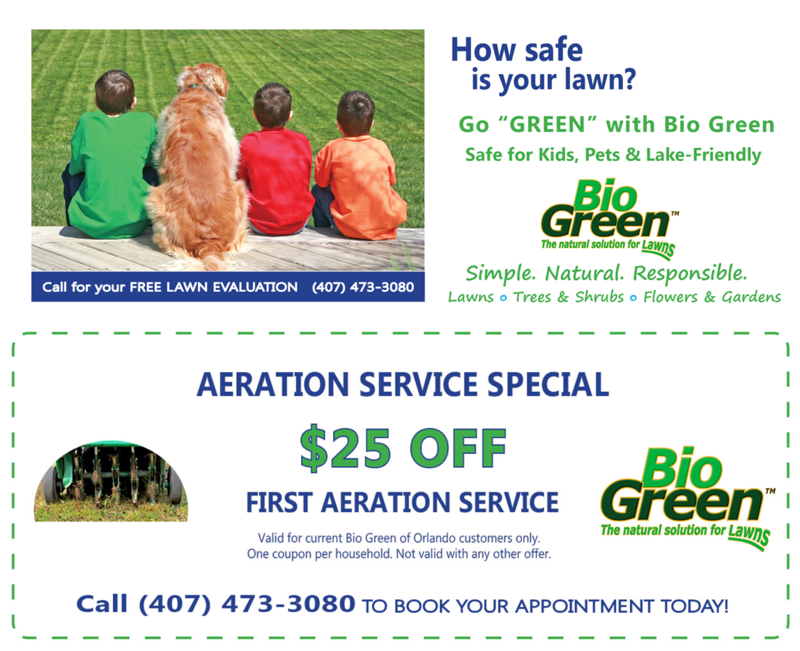 Serving: Orange, Seminole, Lake and Osceola Counties in Central Florida.